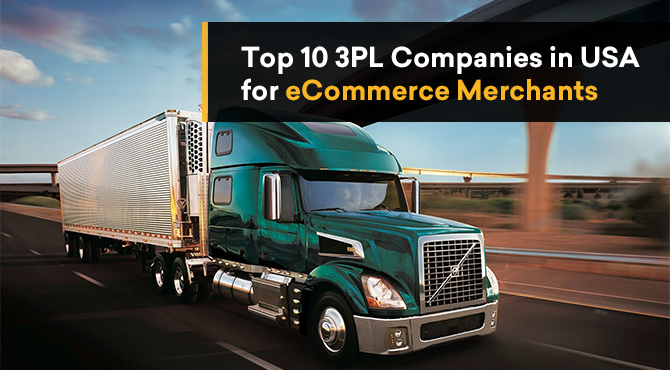 Below are top 10 shipping solution companies that you can consider for your ecommerce store. “Tracking numbers not working,” is one of the most common complaint by customers which in turn arises all-sought of bad illusion running in their mind. This is where Afftership saves you from those glitches. Aftership the best tracking solution till date, will automatically match your shipments with correct couriers and can be tracked for free. 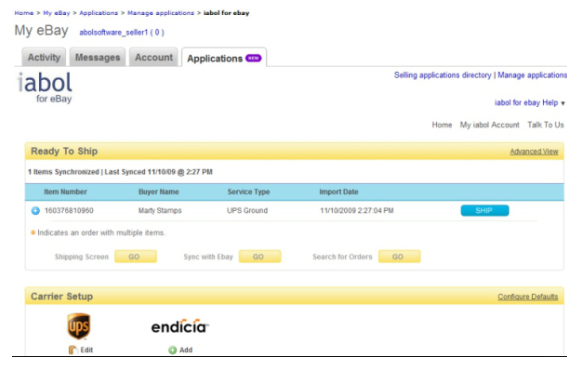 Implementing Aftership, you can have an access it’s “Track Button” to display tracking results on your store. You can also allow customers to input tracking number for tracking or let customers get tracking results in one click at order history page. Their pricing structure: 10 cents for first 100 shipments, 5 cents for next 600 shipments, 3 cents for next 2000 shipments, and 1 cent for remaining shipments. 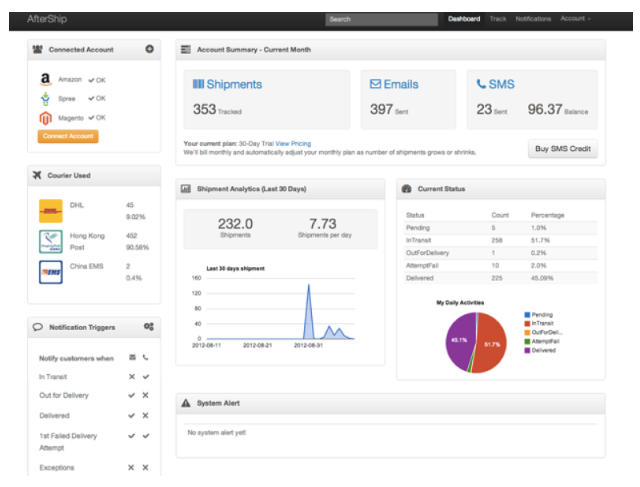 Shippo offers powerful APIs to make shipping easy and cheap for ecommerce business. 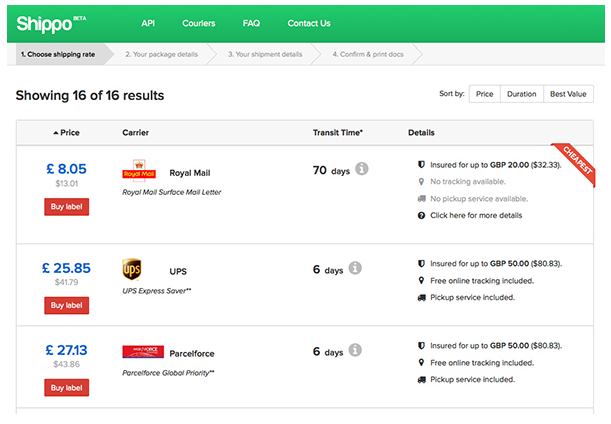 Compare shipping rates, get shipping labels, validate addresses, create customs documents, request refunds and track your packages through the Shippo shipping API with no hassle. EasyPost is a simple shipping API that allow users to buy postage labels, check rates, verify an address, track shipments, and more with all of the major shipping companies, including USPS, UPS, and FedEx. Payment Term: You’re only billed when you purchase labels. ABOL Software offers API capabilities as a way to simplify the process of shipping. This API will process a shipment based on the authentication and shipment criteria passed to the web service. The API supports multi-piece as well as international shipments. You can easily send a void request which in turn flags the shipment as voided in iabol and passes it on to any carriers that require it. For instance, voiding an Endicia package will automatically trigger a refund request to send the postage back to your Endicia postage account. ABOL also launched the first of it’s kind iPad application allowing customers to easily ship with USPS Flat Rate Services including Priority Mail and Express Mail. Users can now ship from anywhere using the Apple iPad. 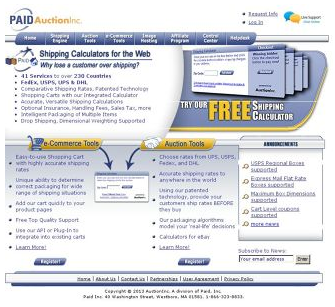 The most common question asked by many retailers is “How do I provide accurate shipping calculations to my customers?” AuctionInc’s calculator will allow your customers to see comparative shipping rates as they add items to the cart. These rates are accurate! 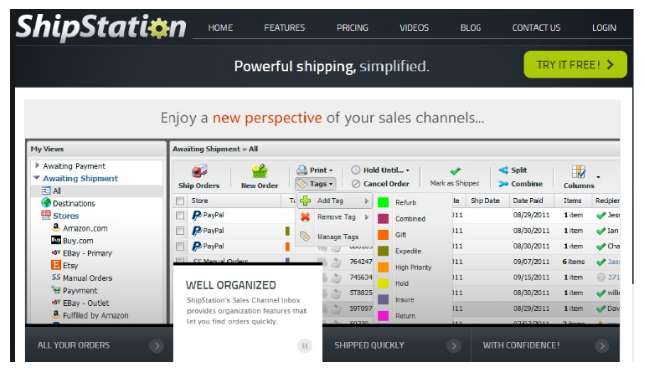 Their ship engine knows how to package multiple items, accounts for package dimensions, handles drop-shipping, etc. TrueShip powering your shipping and returns management processes, you can breathe easier and focus on running your business. Business owners can complete their shipping and logistics tasks in much less time.Rather than handling one order at a time, a single employee can print hundreds of packing slips, gift cards, and even can print UPS labels in just a few minutes. Implementing ShipStation you can easily process and print up to 500 labels in a single batch. Offering a rich-set of features such as Automation Rules, Order Tagging, and Product Defaults will avoid the hassle of manual data entries. Print pick lists, packing slips, and labels easily and quickly to either your local printer or any other printer in the world! Not only does ShipStation download your orders automatically, but it also sends the tracking details back to your selling platform when labels are created. Their pricing structure: $25 – $145/month – that includes the bronze, silver, gold, and platinum pricing plan. It also includes an enterprise plan for business having unlimited shipment per month. Simplify your local and international shipping by automating every step from order processing, rate minimization; accurate label printing; returns and exchanges. 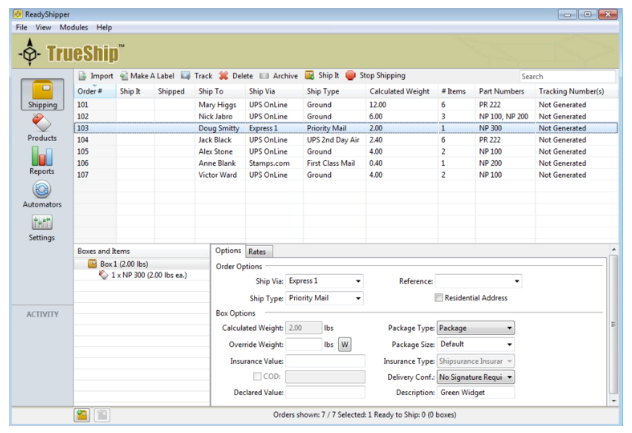 Shippingeasy software will automatically download orders that hits your store and helps you easily assign shipping rates, preferences, and delivery-options in real-time. Print shipping labels and branded packing slips without having to export data or cut-and-paste information into other applications. Tracking status will be automatically updated in your store as well as your shippingeasy account enabling easy communication with your customers. Their pricing structure: $29 – $99/month – that includes the basic, plus, select, and premium pricing plan. Free trial: Starter plan for up-to first 50 shipments. Shipwire will provide a bulletproof shipping service to help you build your brand, whether you are shipping domestically or internationally, wholesale or retail. Shipwire warehouses are strategically located to reach domestic and international customers within a few days, and all orders are backed by same day shipping and accuracy guarantees. 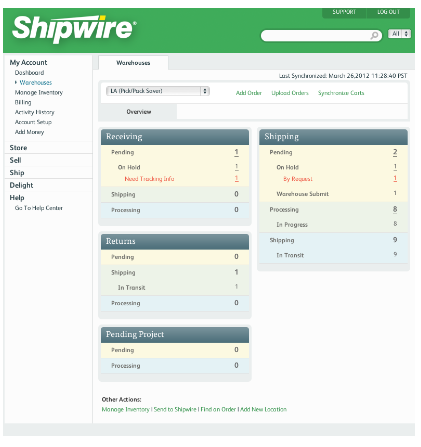 Shipwire allows you to ship products in a variety of ways, saving time, cost and effort. 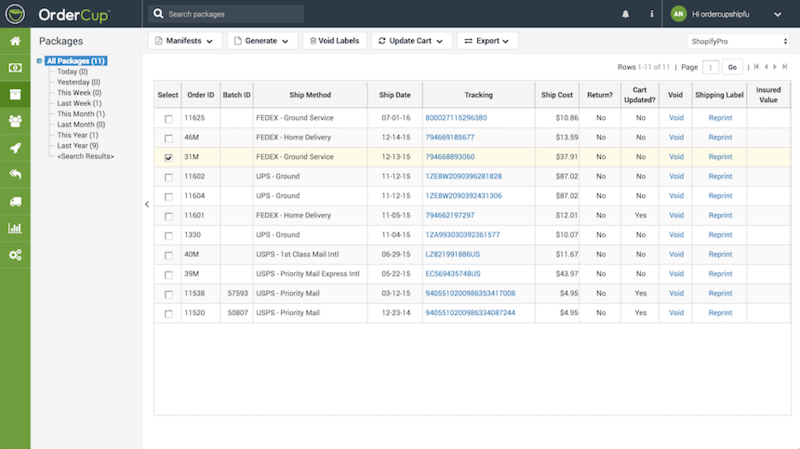 An innovation, easy-to-use, web-based shipping solution – OrderCup will allow you to easily create invoices, packing slips and shipping labels with FedEx, UPS and USPS individually or in batch. Combine orders and split shipments as needed. 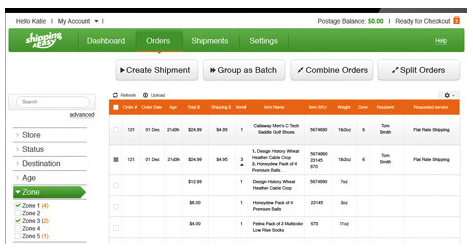 Update the cart with shipping information, send tracking emails to buyers and manage all your shipments centrally. Their pricing structure: $20 – $180/month – that includes short, tall, grande, venti pricing plan. It trenta plan are for businesses having unlimited shipment per month. 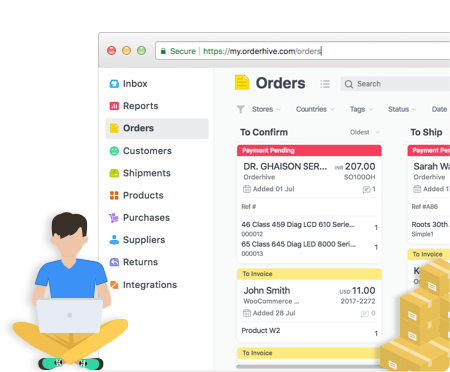 These days, sellers often opt for multichannel inventory management software that comes with shipping integrations from the major shippers. With Orderhive, you get major shippers under the same roof. You can select any shipper (whichever is offering the least shipping price) and send your order. Try it free to experience the ease. Do you integerate with Shipwire? LateShipment is a unique solution for those who use global carriers like FedEx, UPS, TNT, DHL, etc for their shipping needs. We track every shipment that goes out of that account for various service failures including late deliveries. By claiming refunds for the service failures can save around 10-15% of the shipping cost besides improving the service by the carriers. PULSE is a tool available for the LateShipment users only to monitor their shipments at any point of time. The 10 top carriers listed here can use the services of LateShipment to audit and claim refunds for the service failures.